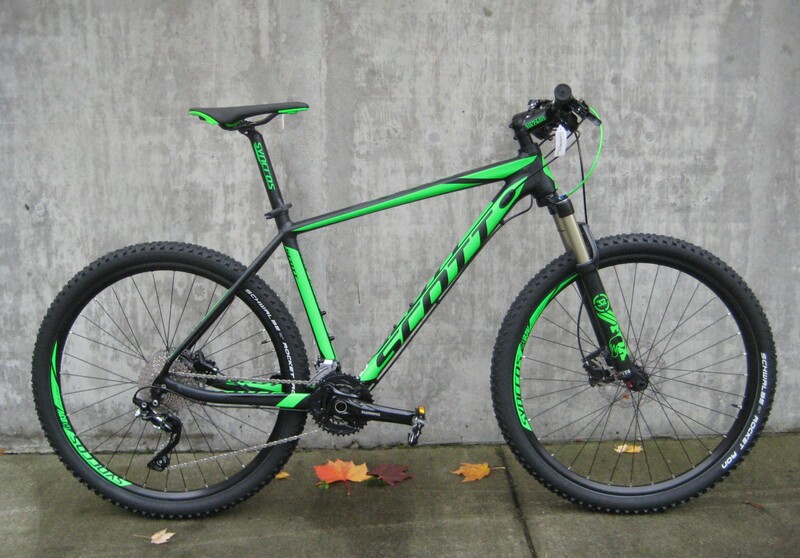 The Scott Scale series gives you a bunch of hardtail mountain bike options that are light, fast, and great handling. Do you want a high-performance mountain bike but would rather put your money into your components and frame material rather than spend it on rear suspension? Scott’s Scale hard tails give you trail performance in both 29″ and 27.5″ wheel platforms, and in a variety of component and frame levels that will leave you wondering why you were considering rear suspension in the first place. 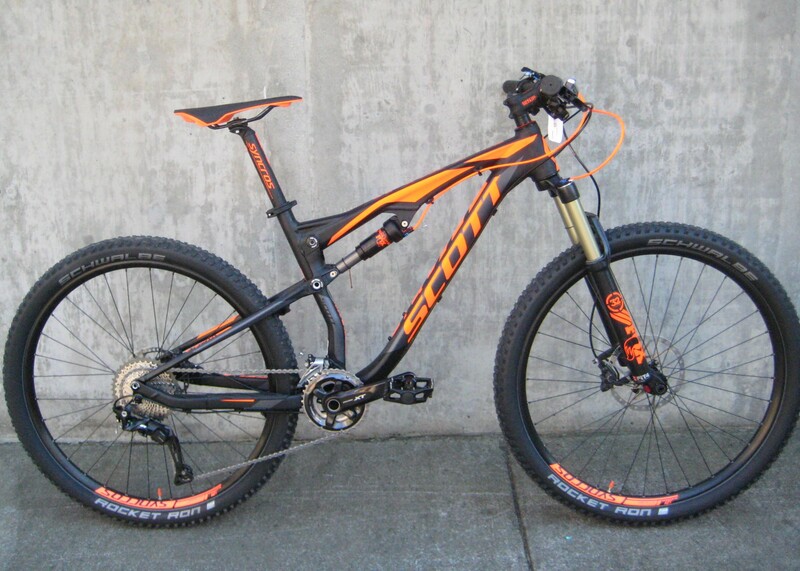 Sharp front-end frame geometry and custom Rockshox or Fox forks give you fantastic steering. 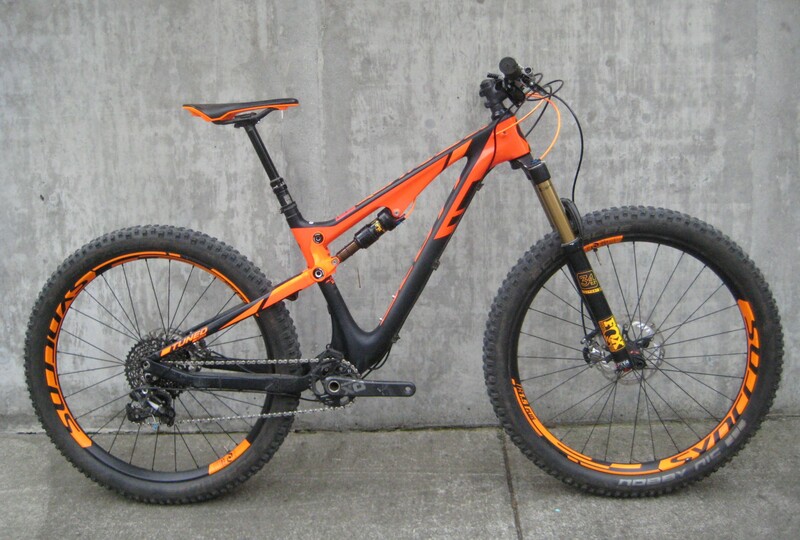 The full-suspension weight issue is replaced with super light carbon and aluminum frames, and the full suspension expense is replaced with premium equipment. Scott offers a handful of variants in this collection. We stock a few different versions: a couple Scale 29′ers with carbon frames and one or two Scales with 27.5″ wheels in aluminum. The Scale 930, 940, 730, 750 and 740 give you all kinds of options in Scott’s middle price levels. 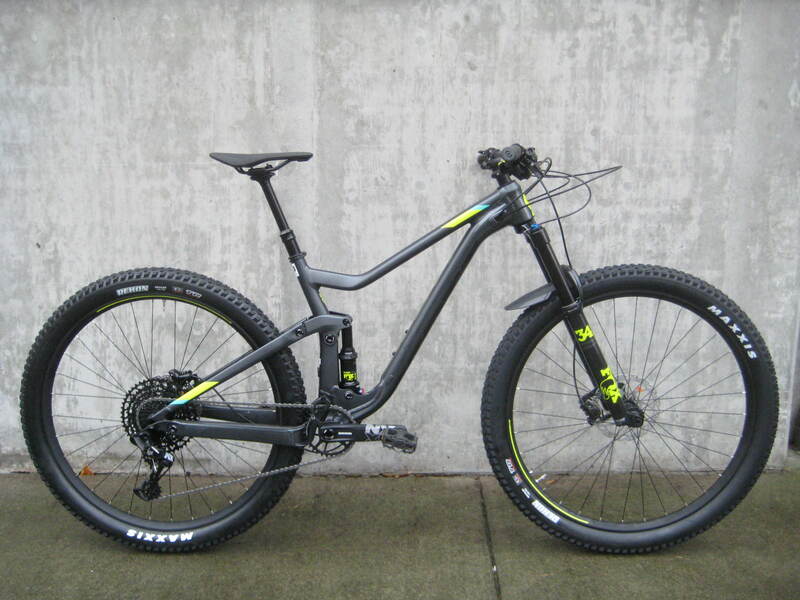 You get to pick your favorite carbon fiber or aluminum hardtail and then decide whether you want it spec’d with Shimano Deore XT dynasys equipment (10 or 11 cogs in the back), Shimano SLX, or Sram equipment. 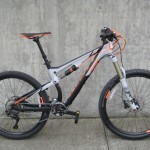 There are versions with a RockShox 29′er fork with a thru-axle and lockout, or Fox forks up front. 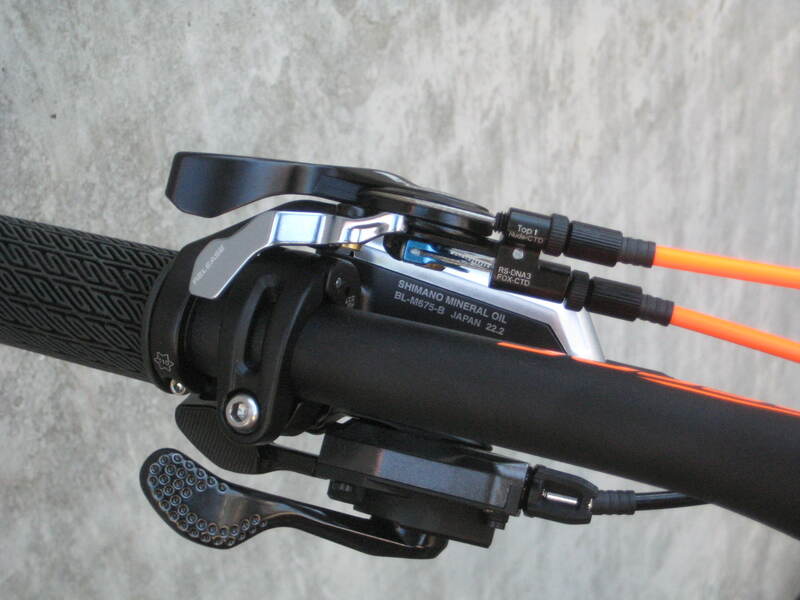 All of these versions have terrific Shimano hydraulic brakes, and fantastic Syncros wheels. All of these bikes feature suspension lock-out switches on the handlebars, so you can cruise on what is essentially a rigid bike to the trail start and then open up the fork travel when the going gets rough. 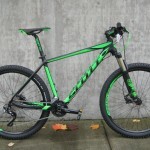 Here are some great mountain bike options from Scott. 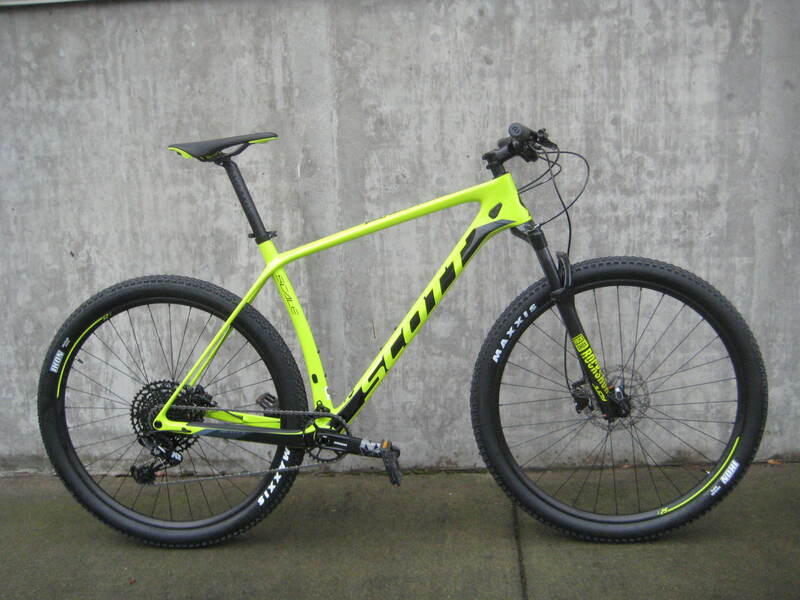 Recently redesigned and coming in both 27.5″ and 29″ wheel size options, the Scott Aspect series is all about having fun on the trail. Aspects are built around frame geometry that’s less serious and more playful than the Scale off-road racing series. With wide handlebars, upright riding position and tough components, an Aspect is built for riders who want to cruise the forest singletrack, take in the scenery (or the obstacles and jumps) and just have a good time. An Aspect is all about the ride. We just received a bunch of these Aspect 930s and 740s, and they are awesome bikes. Hydroformed aluminum frame tubing, 100mm or 120mm travel SR Suntour forks with spring-rate adjustment and lockouts, Syncros wheels and great Shimano components. These bikes accelerate on top of responsive 27.5″ or fast-rolling 29″ wheels and come to a halt with Shimano hydraulic disc brakes. These Scotts are well-equipped and ready for years of off-road fun. 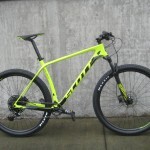 You get hydraulic disc brakes, Kenda Slant Six tires, Synchros bars, seatposts, saddles and wheels… Would you believe that you can get the Aspect 930 for around $800? For real. 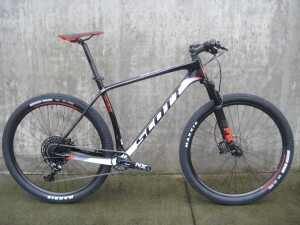 If you want a great trail bike that’s a ton of fun, check out a Scott Aspect. Bikes like these aren’t just for going downhill. 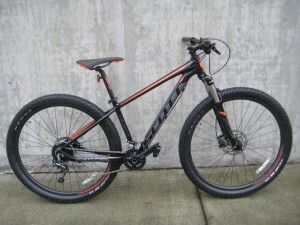 Scott Genius mountain bikes have lots of suspension travel and lots of cool technology. You wouldn’t guess it by looking at them, but these bikes go really fast uphill and roll smoothly on easy terrain. They’re not just for riding downhill. Genius models come with great features like dropper seat posts and twin-lock suspension control switches. Their Syncros wheels (in either 27.5″ or 29″ sizes) happen to be sturdy yet really light and feature hubs with boost spacing and thru-axles, as well as tubeless tires. Genius bike frames feature magnesium rocker links, custom Fox suspension (with that lock-out switch on the handlebars), a smooth suspension design that virtually eliminates pedal-induced bobbing and brake-jack. 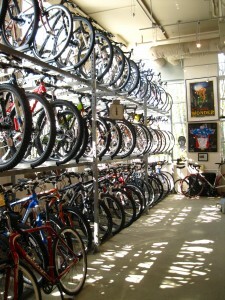 They have wide bars, short stems, low gears and great tires. 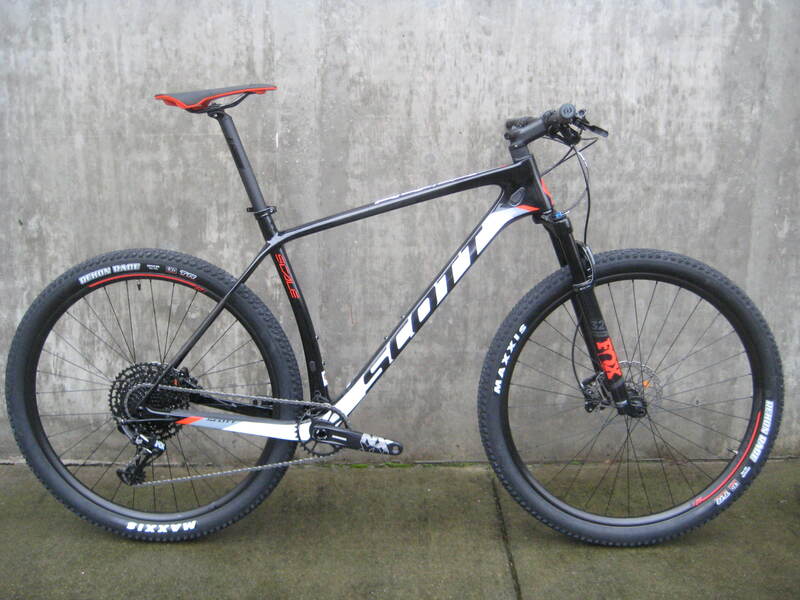 What they don’t have is the extra weight and sluggish handling that you usually find on gravity-oriented bikes. With the entire line-up of Genius 27.5″ and 29″-wheeled bikes coming in under 30 pounds, these bikes are really fun going uphill too. 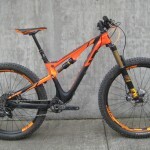 There is a lot of specialization in mountain bikes these days. There are bikes for riding on snow. 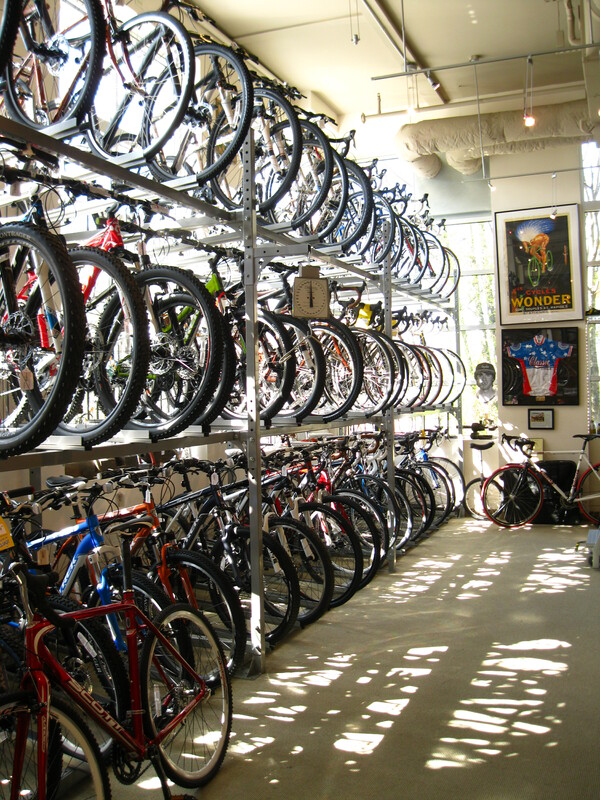 There are bikes that are meant to be ridden downhill (not up), super-light bikes meant to be raced and fairly heavy bikes meant to loaded up with gear and ridden across mountain ranges. Don’t want a bike that’s too “special”? 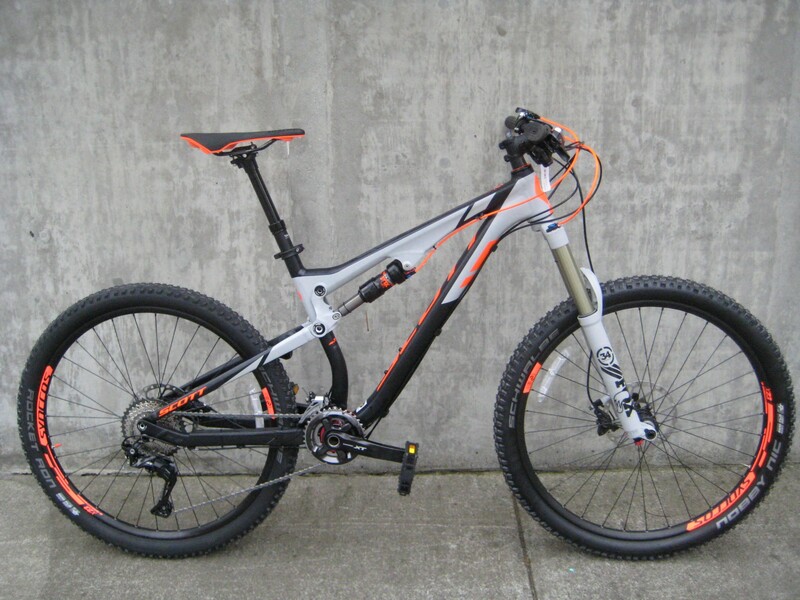 How about a mountain bike that works for nearly every trail, nearly every rider and every use. Check out one of the bikes from Scott’s Spark series. These are trail bikes. Most of them have about 5 inches of suspension travel so they’re plenty capable when the trails get rough or when hills get extra steep. 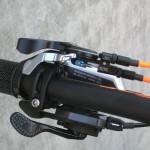 The Twin-Lock switch on the handlebar will simultaneously control the front and rear suspension, giving you suspension that’s totally active when you need it or shut down a bit (or locked out) when you don’t. The Spark series bikes are light and nimble enough to race while being stable (and strong enough) to handle bike-packing or downhill runs. 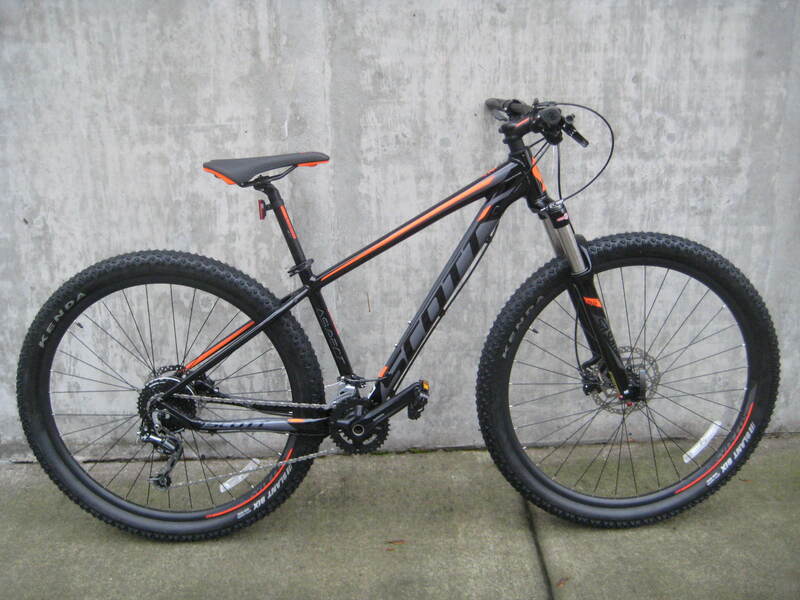 Available with quick-handling 27.5″ wheels or fast-rolling 29′ers. There’s even a couple of versions with 3″ wide “plus” tires for extra trail capabilities.